Why did australian's go to war? • Most Australians had an emotional loyalty and deep affection for Britain. • Many Australians still thought of Britain as home, even those who had never been there. • Australia maintained its trade links with Britain. • Most of Australia’s export of wool, wheat and other products went to Britain. • British imports were given lower tariffs. In July 1914, the Prime Minister Joseph Cook spoke about the coming of ARMEGEDDON which is from the Bible – it’s the last battle between good and evil. Despite the fact that most Australians knew little about Sarajevo or the fatal web of alliances, they tended to think going to war would be glorious, heroic and over by Christmas. Recruitment wasn’t a problem in 1914 as enthusiasm for the war drew thousands of young men to enlist as soon as the call was made. As soon as war was declared, Prime Minister Joseph Cook offered a force of 20,000 men to Britain immediately and Australian navy ships were placed under control of the British Admiralty. In August 1914, Australia had a permanent army & citizens militia of 45,645 men. Although Australia was loyal to the British Empire and many recruits were swept by a wave of emotional support for the Mother Country, other men enlisted for different reasons. • Australian’s tended to think war was glorious and heroic. • Young soldiers roused by a sense of adventure. • An escape from the boredom of ever day life. • Provided an opportunity to travel and see the world. • Opportunity to prove their manhood. AN OPPORTUNITY TO FIGHT FOR KING & COUNTRY – TO DO ONE’S SERVICE FOR THE EMPIRE – these ideas and sentiments were reinforced by the church and families. The AUSTRALIAN IMPERIAL FORCES (AIF) offered 4 – 6 shillings a day (more than British Soldiers). Shame – white feathers were given to men who didn’t enlist. White feathers are a symbol of cowardice. This was reinforced by media campaigns in which those unwilling to fight were called “slackers”, “shirkers” or “cold-footers”. SOME OF THE ECONOMIC REASONS JUST AS IMPORTANT AS IDEALISTIC REASONS. Poverty – some men were forced to join because they were poor. “I think I ought to go… I think it is the greatest opportunity for a chap to make a man of himself, those that come back from this war will be men of the right sort that anyone would be proud of”. This solder died, age 24, in France – 1917. There was only charity services, no state welfare services available at the time. MILITIA – a military force made up of ordinary citizens rather than highly trained soldiers. POVERTY: the state or condition of having little or no money, goods, or means of support. The condition of being poor. One of the most famous assaults of the Gallipoli campaign, the Battle of Lone Pine was originally intended as a diversion from attempts by New Zealand and Australian units to force a breakout from the ANZAC perimeter on the heights of Chunuk Bair and Hill 971. The Lone Pine attack, launched by the 1st Brigade AIF in the late afternoon of 6 August 1915 pitched Australian forces against formidable entrenched Turkish positions, sections of which were securely roofed over with pine logs. In some instances the attackers had to break in through the roof of the trench systems in order to engage the defenders. The main Turkish trench was taken within 20 minutes of the initial charge but this was the prelude to 4 days of intense hand-to-hand fighting, resulting in over 2,000 Australian casualties. Information from the Australian War Memorial website. Visit www.awm.gov.au for more information. Gallipoli is a 1981 Australian film, directed by Peter Weir and starring Mel Gibson and Mark Lee, about several young men from rural Western Australia who enlist in the Australian Army during the First World War. They are sent to the peninsula of Gallipoli in the Ottoman Empire (in modern day Turkey), where they take part in the Gallipoli Campaign. During the course of the movie, the young men slowly lose their innocence about the purpose of war. The climax of the movie occurs on the Anzac battlefield at Gallipoli and depicts the futile attack at the Battle of the Nek on 7 August 1915. Gallipoli provides a faithful portrayal of life in Australia in the 1910's and captures the ideals and character of the Australians who joined up to fight, as well as the conditions they endured on the battlefield. NB: It does, however, modify events for dramatic purposes and contains a number of significant historical inaccuracies. On 2 January 1915, the British government received an urgent appeal from Russia, asking for a British attack on Turkey to divert the Turks from the Caucasus where Russian forces were in danger of being overrun. This spurred Churchill to ask the Commander of the British Squadron in the Aegean if the Dardanelles could be forced and Constantinople taken by naval forces alone, i.e. without a substantial land contribution. 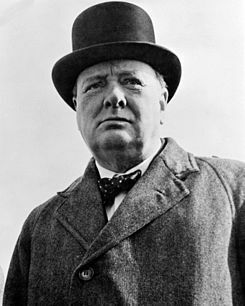 The answer Churchill received was heavily qualified, but he did not inform the War Council of these reservations, and on 19 February 1915 the naval attack on the Dardanelles began. It was an utter failure, the combination of Turkish mines and mobile howitzers being more than a match for the fleet of ageing battleships that had been committed to the operation. Command of the Gallipoli operations was given to a British general, Sir Ian Hamilton. He was brave, sensitive and intelligent. But he was ill-suited for a campaign that demanded strong leadership and was probably doomed from the start; he was not able to inspire his commanders and never gained the confidence of his troops. Hamilton was optimistic, but sometimes ignored reality. The landings in April were only a limited success and attempts to regain the initiative in August failed. Eventually his command came under scrutiny, partly because of complaints circulated by the Australian correspondent Keith Murdoch. Finally, on 15 October he was replaced; it was effectively the end of his military career. His successor, General Charles Monro, recommended the evacuation of the forces from Gallipoli. Click the image to read more on General Ian Hamilton.